fueled by a passion to push the boundaries of sign system technologies. As an equal opportunity employer, Tyson does not discriminate on the basis of race, color, gender, religion, age, national origin, veteran status, disability or any other basis protected by law or company policy. We are a drug-free workplace. Description Tyson Sign Company is looking for an Estimator experienced in the Sign Industry. All candidates should have extensive experience creating estimates for a variety of projects including, but not limited to, large electric signs, monuments, exterior and interior signage. Candidates should be detail oriented, have math and computer skills, and be familiar with both Excel & Word. Construction knowledge would be helpful. Potential candidate must have a positive attitude and be able to work well under pressure to meet required deadlines. Resumes should be sent directly to billyrussell@tysonsign.com or stop in our office at 2487 Hwy 501 E, Conway, SC anytime Monday-Friday from 8:00 am to 5:00 pm. Description Tyson Sign Company has entry level positions open in our shop. Ideal applicants will be able to work in a fast paced environment, be team players and be eager to learn the sign making business. Familiarity with tools and mechanical ability a plus. Excellent opportunity for those looking for a new career, not just a job. To apply you may send your resume to billyrussell@tysonsign.com, fill out the online application, or stop in our office at 2487 Hwy 501 E, Conway, SC anytime Monday-Friday from 8:00 am to 5:00 pm. Description Tyson Sign Company is looking for an EXPERIENCED INSTALLATION/CREW CHIEF. Experience with all types of sign installations including pylons, monuments, electrical & non-electrical signs is essential. Applicants must be experienced in Crane truck operations, with a clean driving record and a CDL. Position requires leadership qualities and a positive attitude with the ability to work well under the pressure of meeting client deadlines. INSTALLATION HELPERS. 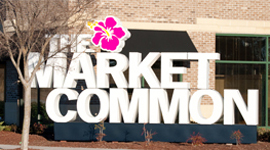 Our crew chiefs need helpers who can assist in all phases of sign installation. Ideal applicants will be able to work in a fast paced environment, be team players and be eager to learn the sign making business. Excellent opportunity for those looking for a new career, not just a job. Description Tyson Sign Company is looking for a Graphic Designer. All candidates should have extensive experience working as a designer in the sign industry and be capable of producing both conceptual renderings for presentation as well as detailed scale drawing for pricing and manufacturing. Candidates should be familiar with FlexiSign-Pro, CorelDRAW, AutoCad, Adobe illustrator and Photoshop. Potential candidate must have a positive attitude and be a team player with the ability to work well under the pressure of meeting client deadlines. 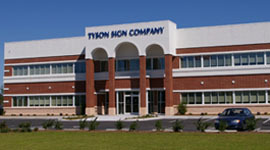 Tyson offers a competitive salary as well as Medical, LTD and Life insurance, 401K with company match and Paid vacation and holidays. To apply you may send your resume to billyrussell@tysonsign.com. or stop in our office at 2487 Hwy 501 E, Conway, SC anytime Monday-Friday from 8:00 am to 5:00 pm. Description Tyson Sign Company is looking for a Service Tech. Applicants should possess the skills needed to troubleshoot signs and lighting. 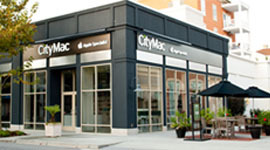 Duties will include servicing all type of signs including LED, Neon and EMC’s. Must be able to run a bucket truck efficiently. Experience in the sign industry a plus.